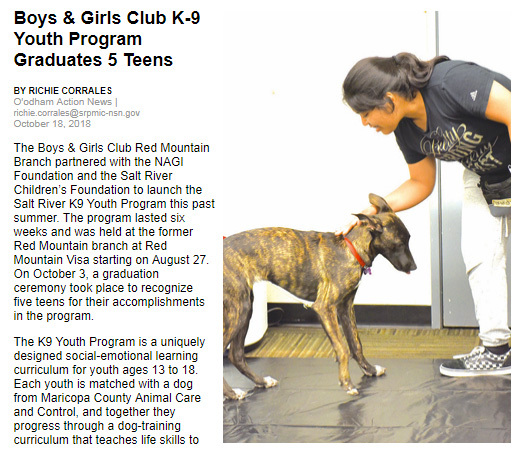 The Boys & Girls Club Red Mountain Branch partnered with the NAGI Foundation and the Salt River Children’s Foundation to launch the Salt River K9 Youth Program this past summer. The program lasted six weeks and was held at the former Red Mountain branch at Red Mountain Visa starting on August 27. On October 3, a graduation ceremony took place to recognize five teens for their accomplishments in the program.